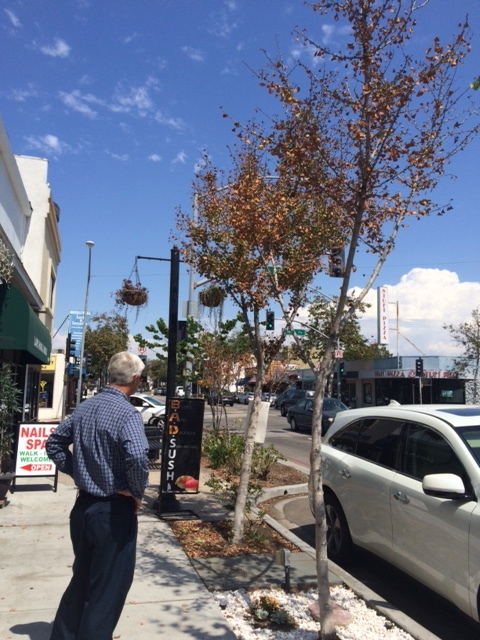 The West is experiencing a severe drought; just how bad it was, was brought home to me when I visited the Los Angeles area this past week, after an absence of six years. I had always been surprised by the lush greenery, flowers, flowering trees and palms that lined the freeways of “Tinsel Town.” That is all gone. Streets, highways, homes and gardens now display signs that read “Brown is the new green.” What was once lush, verdant and colorful is now dry as dust, brown, and dead. The West is suffering from a great thirst for water. It is emblematic of its thirst for God. It is no secret that Los Angeles is mecca of images, idolatry and false faces. But on September 8th, the feast of the birth of the Blessed Mother, a replica of a miraculous image arrived in California, bearing the Face of Jesus Christ. 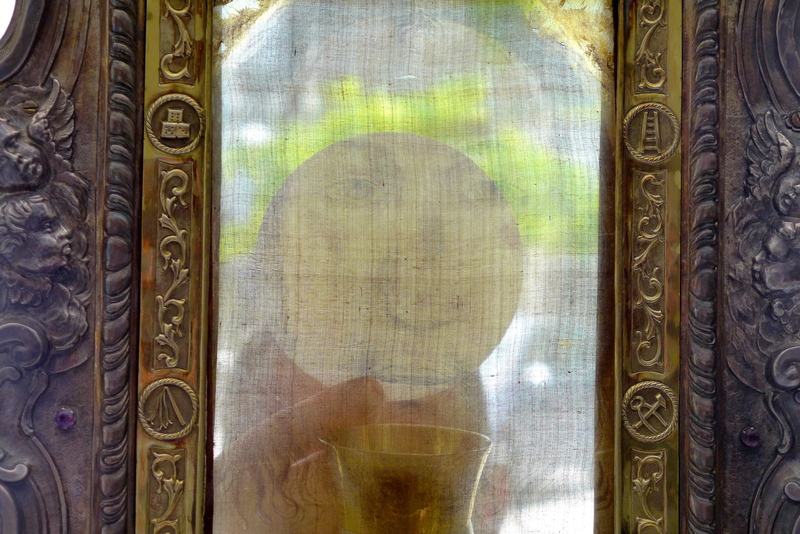 It had traveled all the way from a shrine in a small mountain village in Italy called Manoppello, accompanied by the rector of the Holy Face Sanctuary, Fr. Carmine Cucinelli, OFM Capuchin and Mr. Paul Badde, journalist and author of several books about the Holy Face of Manoppello, who were there to give talks about the Holy Face. 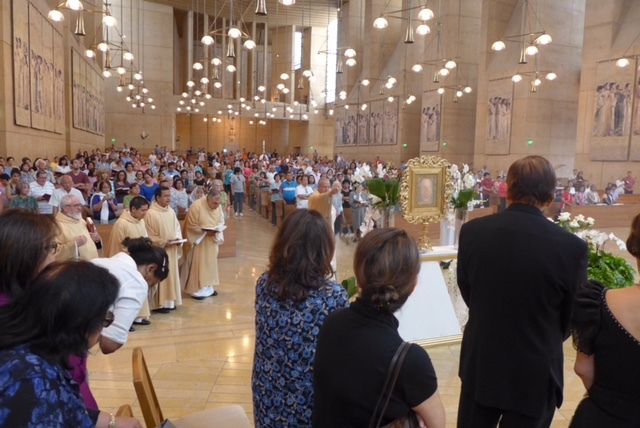 The first stop was the Carmelite Chapel of St. Joseph in Duarte, and the second stop, Our Lady of the Angels Cathedral in Los Angeles. 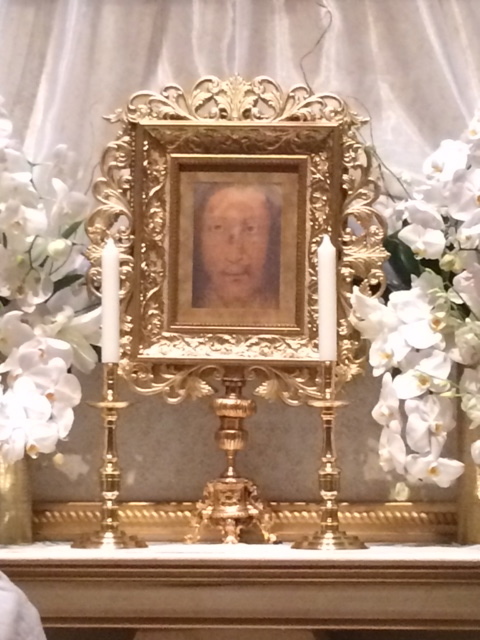 Blessed Replica image of the Holy Face of Manoppello, Mass at Our Lady of the Angels Cathedral Los Angeles. As I departed Los Angeles, a rain shower fell. It made all the news programs, it was so rare. It seemed to me that the arrival of His Holy Face to Los Angeles was bringing blessings and showering grace on the City of Angels. 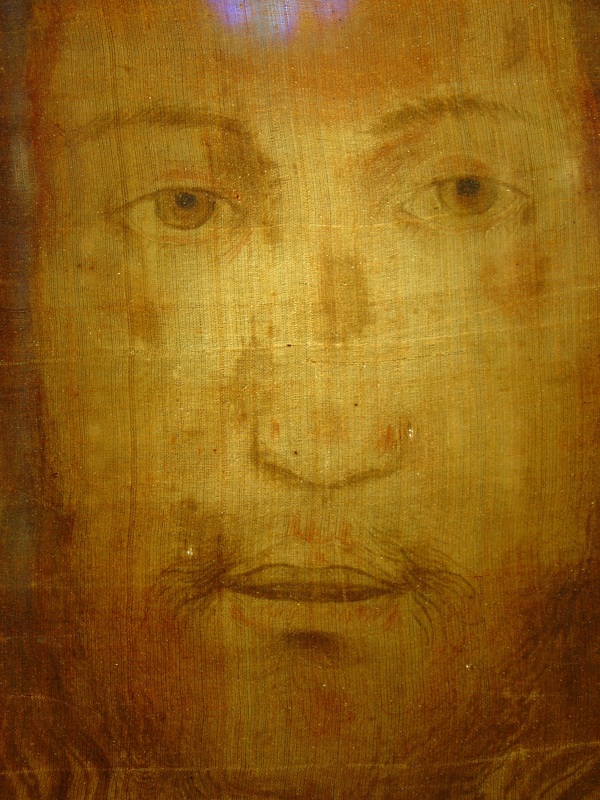 The Face of Jesus is the antidote to the poison of sin and evil in the world. He comes to give us “Living Water.” Nothing less will quench our thirst. Let us follow Pope Francis’ exhortation to contemplate the Face of Christ through discipleship, images of the Face of Christ and in the Eucharist, and be true “heralds of mercy” by spreading devotion to the Face of Christ. 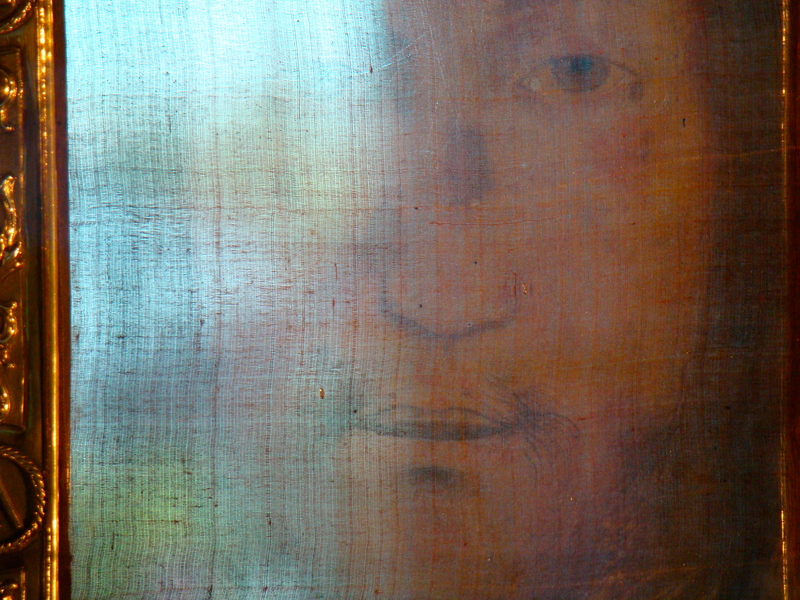 A special thanks to Mr. Paul Badde for allowing me to use his beautiful photos of The Holy Face of Manoppello!